Hello there. I've been having a few technical problems with my laptop tonight (memory loss and many things don't seem to be working) but I just wanted to pop in and show you this example of a UK tiny home. 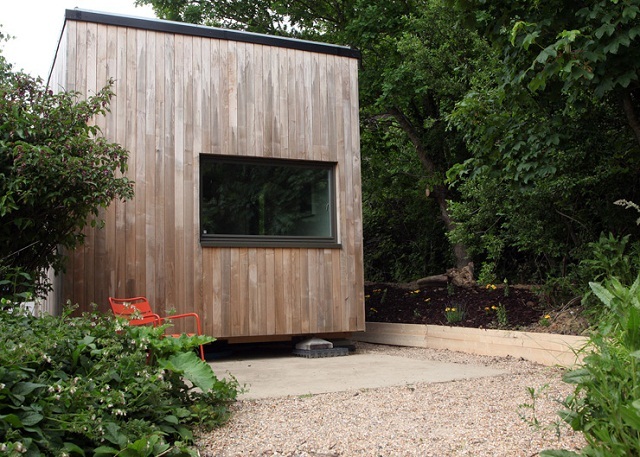 UK readers may well have seen this building, QB2, showcased last week on George Clarke's Amazing Spaces. This tiny home gets my vote for its storage options and ingenious system of levels (living space downstairs; bathroom, shower cubicle and kitchen upstairs and a further raised level for the bedroom space). 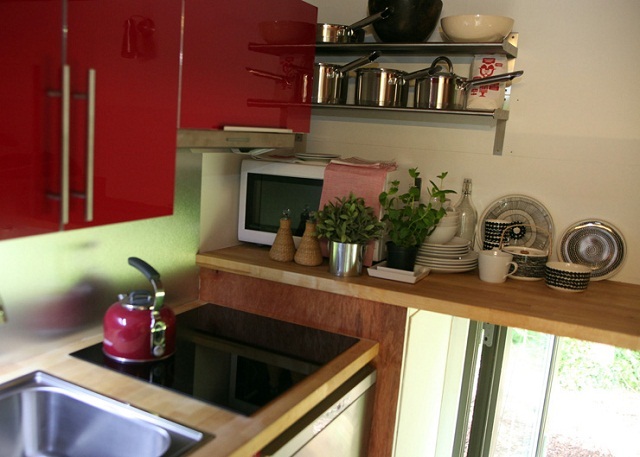 It packs a punch with its simple, clean design and has many eco saving features too. What's more it can be transported and relocated from site to site. I find it inspiring that small energy homes are being designed in the UK as an option for affordable and flexible living. 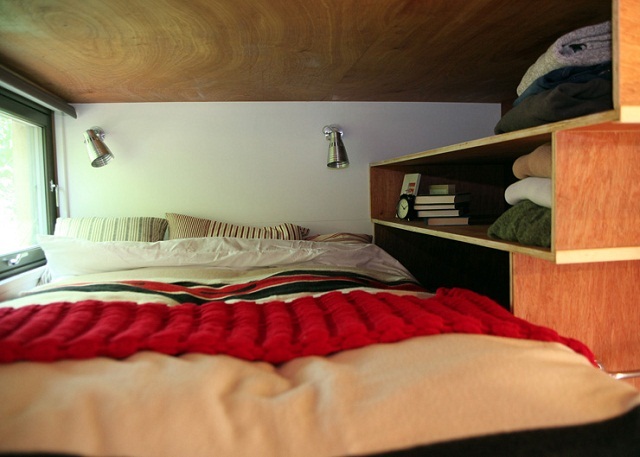 It's also inspiring to see how the smallest spaces can be simultaneously practical yet cosy. Not sure if my technical difficulties will be sorted but I hope to be back soon, whatever! I could see myself doing this on a lovely spot in the country ! And I thought my house was little. Housing for the future maybe? No wasted space there! I love it. 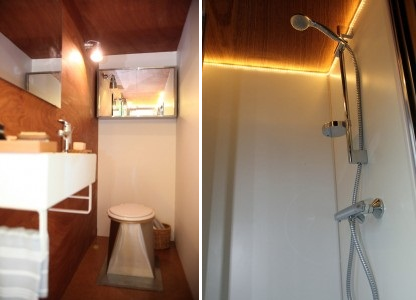 I absolutely love the ingenius designs of small spaces. Wonderful. Sorry about your laptop problems, hope it's all sorted soon. That's a lovely home! Hope your laptop issues are sorted out soon Claire. Love it, but I am biased as we have been living in our motorhome for just under two years. The use of all space is brilliant, and of course, you can only have what you actually need. Makes for a very simple but rewarding life. 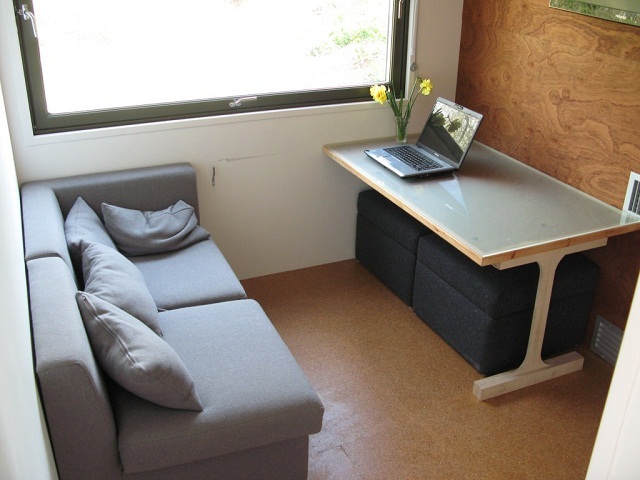 I don't think I could leave in a micro house, but I follow the tiny home blog and it really inspire me for having less and enjoying our space. I actually think it is hideous. And all very well for the haves to tell the have-nots that it is great to live in such a tiny cramped and soul destroying space. If you like it, then you live there!